HOW DO THESE RIDE THINGIES WORK? We're totally psyched you want a ride. But while the ride itself is a simple treat, there are lots of variables that come in. So we pulled together the basics below to help you figure out the best choice in ride options. Where we can bring you. We ride anywhere in Washington DC. Some spots around town may be daunting and limit our ability to provide the ride you want, so please call us at 202-269-9090 to double check to make sure your locations are easy to access. When are we out pedaling? We’re out 10:00am to 9:00pm most days. Our pedicabs are designed for two or three adults (sometimes it gets a little cozy with three), or two adults and two small children (6 or 7 years old and younger). How pricing works for regular rides. There is no set rate for regular (non-tour) rides. Most rides around the downtown area start at around $15-20 per pedicab. Cost depends on distance, elevation, time, number of passengers, and a few other factors. If you're interested in a quote for a future ride, feel free to contact us here. If you might want a ride today, flag down a pedicab anywhere around DC! Any National Pedicab driver can give you payment examples and guide you through what different costs would be for different distances. Our drivers are required to negotiate all fares with their passengers before departure - so you always will know the full cost up front. Tours can be booked for any time during the day or evening, and can cover literally anywhere within DC. Your imagination is the only limit. 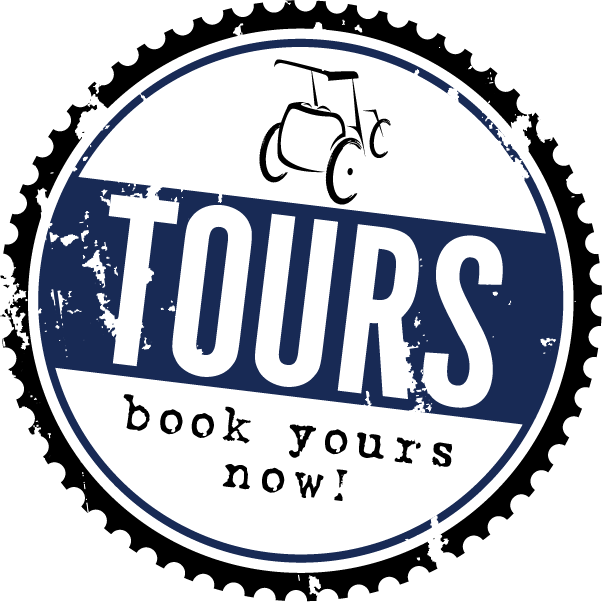 Feel free to flag down drivers on the street for an instant tour, or book here online to plan your tour in advance. Groups parties, weddings and company rides. Need a few pedicabs for a group? No problem! On group rides, our cabs will stay together in a herd to make sure the group stays cohesive. Book your group ride right here. How does one fit pedicabs into a wedding / corporate outing / celebration? Click on each word to see great ideas! During our business hours we can usually get a driver to where you are within 15-20 minutes of the time you call. The more notice you give, the easier it is for us to ensure availability! For tours it's best to book a few hours ahead. For and large events and parties, try for 48 hours in advance if possible. But even if you have to cut it close give us a try. Sometimes we can accommodate on relatively short notice! Every day of the season, we ride. For us, this means from March through October, but early and late in the season we may operate a limited number of days per week. If you're looking for a ride between November through February, please call ahead and make sure we're out on the road! If there’s heavy rain or any snow or ice, we may stay home just like you do. (But sometimes, on hot summer days, riding in a light shower is actually tons of fun.) On cooler nights, most of our pedicabs will have snuggly blankets on board. In case of light rain, many of our pedicabs are equipped with canopies that can fully cover the top, sides, and rear of the passenger area to keep you dry and cozy.